Deepcool were established back in 1996 in Beijing, since then they’ve focussed solely on producing computer chassis and cooling equipment; recently we’ve seen some incredibly wacky designs leaving their factory, many receiving high praise from the enthusiast markets. Today we look at their latest and greatest RGB CPU Cooler, available with either a 240mm or 280mm radiator at present. We’ve been provided the 240mm version for testing. The Castle 240 promises efficient cooling and high performance thanks to large heat contact areas under the large RGB pump alongside high RPM RGB fans. We also see compatibility with AMDs TR4 socket as well as the mainstream sockets from AMD and Intel. Provided with the Castle 240 is a pair of motherboard adaptors, for syncing the RGB lighting with ASUS, Gigabyte, MSI and ASRock motherboards, as well as a SATA power adaptor with in-line RGB controls for those without RGB motherboard headers. 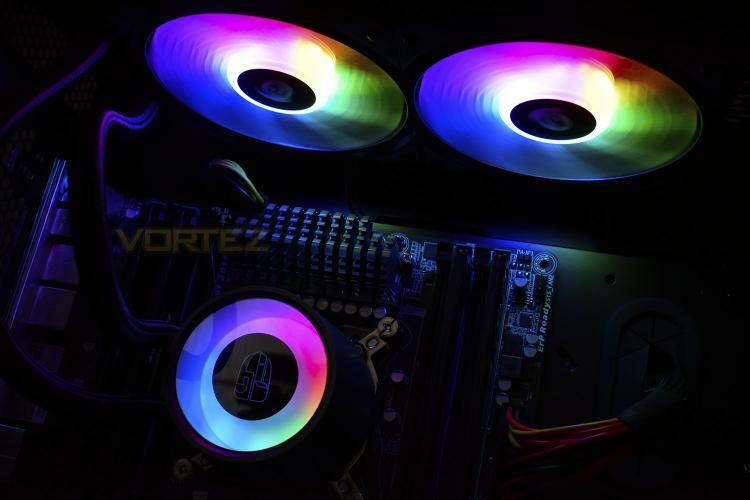 We’re excited to see the RGB effects in full flow, as well as testing the thermal dissipation capacity of the cooler so lets get stuck in and see how it performs.